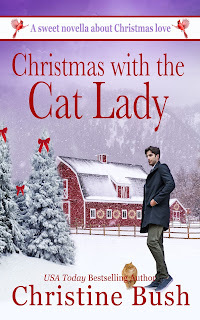 Sweet Romance Reads: SNEAK PREVIEW from Sweet Christmas Kisses 4! “I must have been out of my mind when I agreed to this.” Josh Spencer looked out the passenger window of the Mercedes and shook his head. They were out in the sticks, Manhattan a distant memory. Trees and snow. As far as the eye could see. Though you couldn’t see far. The snow was coming down in giant, blinding flakes. How did people ever live out here? Brent Brookfield slowed the Mercedes down as he approached a curve in the road. It was slippery and getting more so by the minute. He hadn’t known snow was predicted when they’d left New York City. But they were almost there. “My books are fiction. The terror isn’t real. I can handle that. But bears are real.” He shivered. “I don’t know why you thought it was so necessary for me to leave my nice safe Manhattan condo. No bears there.” He shivered. Brent glanced over at his grumbling passenger, who was huddled in the car, a ski cap pulled low over his unruly hair. He gave Josh a sad smile. “Sometimes my misery has inspired me to great heights. I’ve written through my heart crushing holiday depression before.” Josh crossed his arms over his chest. “Agreed. Worked just fine when your last scene was centered around a cataclysmic disaster, or when you were blowing aliens out of the sky. Depression might inspire that. But this story is different, and the editor has been clear. Action and mayhem, but in this one the good guys win in the end. And there’s a happy ending. A romantic ending.” Brent grimaced. They both laughed for a minute, then Josh got serious. They drove in silence for another hour. The snow had stopped, and dusk was setting in. Night came early in December. “It’s ok. I’m paying her extremely well to feed and house you. She really needs the money,” Brent stated. “Geez? Feed and house me? I feel like an unwanted puppy.” Josh frowned. Carly’s phone vibrated in the pocket of her smock, and the sound of “Ode to Joy” chimed in the air. The ringing phone broke her focus, and brought her mind back to the present. “Hello, Gorgeous,” said the friendly voice of her twin brother, Brent, when she answered the phone. “Hello, little brother,” she answered. “Hey, I’m only five minutes younger,” Brent protested, grinning into the phone. In her head, she started listing the things she should do to get ready for this uncomfortable visit. A stranger, living in her house. Sometimes, she felt like strangling her brother. But she’d never say no to him. This time, she grumbled as well as sighed. No more delaying. The time had come. As much as she detested the idea of this stranger’s arrival, she needed the money. She allowed herself the luxury of contemplating the result of the payment, straightened her shoulders. 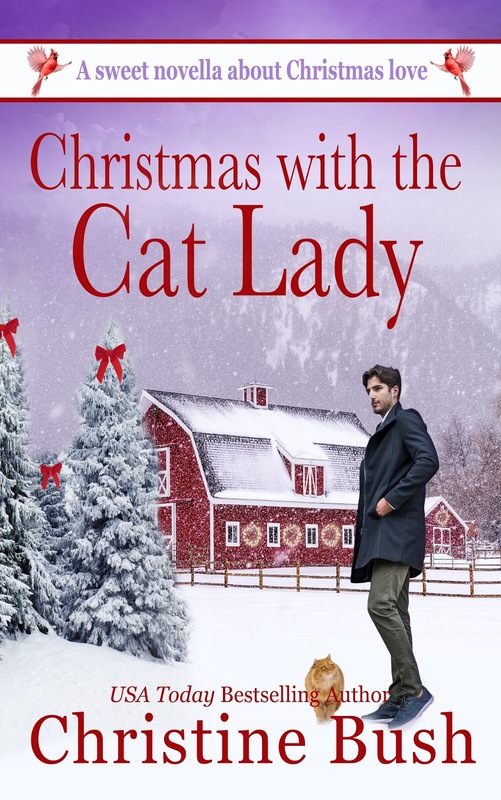 She turned out the light in her barn studio, and locked the door behind her, trudging toward the house through the snow in her heavy black boots, phone still to her ear. Dead air. She’d hung up the phone. Carly got to the back door of the house, stomping her black work boots on the porch steps outside before stepping into the kitchen. There was still a faint scent of cinnamon lingering in the air after her stint of baking earlier in the day. She had made her favorite gooey cinnamon rolls, and a deep dish apple pie made from apples picked earlier in the fall at a nearby orchard. She loved the homey smell. She pulled off her plaid woolen jacket, hanging it on its usual hook by the back door and then tackled the woodpile next to the fireplace, stoking the fire that had burned down during the time she had been out in the barn. Within minutes, the orange flames rose from the new logs, throwing both heat and warmth into the kitchen. Carly loved her home. It was her haven, her place of peace. Solitude. Almost. Except for the cats. As if knowing she was thinking of them, two humungous cats emerged from the wicker basket that sat near the fireplace, stretching as they stood in the glow of the flames. “Meow!” the larger of the cats, yowled. She pulled a stack of bowls from the shelf in cabinet, scooped a cup of dry cat food into each bowl from a bin by the door. A stack of cat food cans sat next to the electric can opener on the counter. She hit the button on the can opener, making a whirring sound in the kitchen. Instantly, four more cats appeared, two from behind the couch, two running down the steps from upstairs. “Meow”. “Yowl.” “Mreeow!” An excited cat chorus began. She filled six dishes, mixing the canned food with the dry, and lined the meals up on the floor by the counter next to a supply of water. Carly loved her cats. Some were large, some small, long hair, short hair, young and old, and every color. One was missing a part of his ear, a battle scar from a fight in an earlier stage of his life. “Okay, kitties,” she laughed as they maneuvered for space at their feeding spot, now purring and joyfully devouring their meal. They were safe here, and fed. Loving and loved. And very independent. She really liked cats. Understood them. She sighed, knowing that her twin brother Brent would be pulling in the driveway within minutes. And he was bringing the writer. A person living in her space. Renting a room. Breathing her air. She would just have to cope. Brent had made her “an offer she just couldn’t refuse”. With the extremely generous rent he was providing, she could do a lot of good. And that would make it worth it. Maybe. Hopefully. She and her cats would survive. And the guy had to be ok, or Brent wouldn’t have come up with the plan. She cleaned up the cat food mess, and steeled herself. She saw the reflection of car headlights in the trees, and hear the sound of tires crunching on the new fallen snow. She moved across the kitchen, across the living room, getting ready to greet them. Brent would come to the front door. He always did. No matter how many times she had told him he could feel free to come in the kitchen door, he would not. Brent was a front door person. Formal. Pomp and circumstance. She was a back door person. Casual, comfortable. The thought made her smile. Opposites. She and her twin were like two alternate sides of the same universe. And not just about doors. About life. He made her crazy at times, but she loved him with every ounce of her heart. She tried to accept his constantly frenetic New York lifestyle, his love for the crowds and bustle and competition of the “city that never sleeps” but she knew she would probably never truly understand it. And in truth, she wouldn’t change him for the world. Though she sometimes had to prepare herself for him. She grabbed hold onto her serenity, smiled, and took a deep breath. Her beloved tornado was crashing through the front door. Carly pulled a rag from the back pocket of her jeans and handed it to her brother so he could wipe his imported Italian leather loafers. Brent stood up with a grin, but not before she had glimpsed the second man who had been standing behind him. Tall, dark and handsome. Silent. Now she was face to face with the newcomer. Her future boarder. The man who was not supposed to get in the way, cause any problem or worry. Not hardly. In a flash, she took in his looks. Probably over 6’3”, with longish, wavy dark hair that framed his somewhat craggy face. He was wearing a navy blue sweater under his navy blue jacket. Dark blue jeans. And a pair of very white sneakers. He was handsome in a rugged way. Way too handsome. He looked almost tough. But not quite. His eyes met hers, and the impression of toughness evaporated, replaced by the feeling that an ocean of emotion was hiding behind them. Pain, hurt, confusion. Sadness. Her heart did a little flip flop in her chest. What was that all about? She’d only heard pieces of his story, of how he needed to hide away in solitude to finish his book, and with one look, she didn’t doubt that for a minute. But there was more behind those eyes than just deadline pressure and writer’s block. There was deep, deep grief. And she really knew a lot about that. So she wouldn’t push, and she’d let him be. And they’d be just fine. She wouldn’t hold being handsome against him, she thought with a smile. His sneakers made little squishy noises on the wide planked floor in the hallway. His gaze roamed the kitchen as they entered, taking in the giant stone fireplace on the far wall, well stacked with logs that burned strong, throwing an orange golden glow over the room. The room felt warm, and homey. Then he noticed two giant cats who sat on either side of the hearth, at first so still Josh thought they were statues. But their heads turned toward him as he arrived, bright eyes glowing in the firelight. Another cat, white and long haired, draped itself across the top of a pile of logs stacked in the corner by the fireplace. Three cats? A large colorful bow of fruit sat on the square wooden table in the center of the room. Four high backed chairs were placed around the table, and three of them held three more cats, staring at him. Six cats? He swallowed hard. Were there more? His gaze darted around the room, looking for more pointed ears, or a waving tale. He felt a moment of panic. Josh didn’t have anything particularly against cats. Even though not a part of his universe, he knew that having a pet cat was not an unusual circumstance. But six? Brent had warned him, in a way. He told him his sister preferred animals to people. Also understandable. But six? Images of a crazy cat lady who lived in the woods with a herd of cats, practicing witchcraft and casting spells crossed his mind. For a minute, he wanted to run away, to jump into Brent’s fancy car and demand a ride back to the city. Deadline or not. She lifted the lid from a large iron pot, and the delicious smell of meat and vegetables filled the air, mingling with the aroma of freshly baked bread and cinnamon. And apples. Josh’s stomach growled in anticipation. He put the thoughts of witches’ spells out of his mind, remembering how hungry he was. And how good it smelled. He sat. He picked the chair that did not hold a cat. Brent rubbed his hands together, and took the chair next to him, easily shooing the cat away. “Thanks, Sis,” Brent said with a grin. “Nothing like a good Carly meal to stick to your ribs, I always say. Carly scooped the stew from the pot in efficient moves, putting three steaming bowls on the table, and adding a huge basket of baked muffins and rolls. Now Josh’s mouth was watering. So what if the woman had cats? No sense overreacting. It could be worse. She could have collected snakes. Or alligators. Or bugs. His often over the top imagination had gotten the best of him. He could deal with a few cats. He dug into the stew with gusto. Carly and Brent talked through the quick meal, brother and sister chatter that made it easy for Josh to stay quiet. This was fine with him. He listened with his concentration at half mast. There was talk of the weather, present and future. Snow. No kidding. And talk of the fact that Brent needed boots. Not going to happen. Carly had put in new well pump. Was that a big deal? Josh had no clue. A lawyer had a question. Nothing surprising there. He demolished a second giant bowl of stew when it was offered, and devoured two biscuits, followed by a sugary cinnamon thing that melted in his mouth with every bite. He would have eaten a second, but he was so full that he literally feared he would explode. When had food ever tasted that good? “So I’ll be in touch by phone, and maybe take a run out to see how things are going in a week or so. Ok, Josh?” Brent’s words permeated his food filled mind and brought him back to attention. “You’re leaving?” Josh said in a moment of panic. And in a flash, Brent was gone, only the banging of the front door left behind. Carly had quickly removed the used dishes from the table. Should he help? Should he talk? He didn’t know what to do. Brent always told him he had no people skills, and he took this moment as proof. But Carly didn’t seem to feel driven to fill the void, she hummed while he washed the dishes, not paying him a whit of attention. Maybe she had forgotten he was here? At that moment, two of the cats leaped to reclaim their chairs, and two more began to weave themselves around his legs as he sat at the table. “Mrrrrow!” the big one exclaimed, almost seeming to want a response. Was the cat talking to him? It seemed rude to ignore him. “Hi Cat,” he said gruffly. What on earth do you say to a cat? “Nice tail.” He said the only thing that came to mind. He was simply out of his element. The sound of Carly’s laughter exploded in the kitchen, a bubbling, raucous laugh that was not even slightly reminiscent of the warm tinkling sound he had heard before. Was she laughing at him? “I cannot believe you are having a conversation with that cat,” she gasped, in between chortles. He felt humiliated, and would have given a million dollars to the ability to turn invisible at that moment. He could feel his face flush. Was he twitching? “It seemed like the right thing to do,” he mumbled, wanting to justify himself. But then Carly stopped laughing. She stared at him for one long silent moment. “Did you think I was laughing AT you?” she asked. Josh nodded like an errant child. Two cats were still weaving around his legs, and Rosie was meowing away from her seat at the table. That was the understatement of the year. He followed her up the stairs, and she opened a door on the right. “Thanks for having me here, Carly. And dinner was great.” He was trying hard for normal. Then Josh met her eyes and felt a little electric charge zap through his body. Out of his comfort zone, for sure. “I think I’ll call you the Cat Whisperer,” she said with a grin, as she turned and bounced down the steps. He leaned against the door frame, watching her go. The Cat Whisperer? Man, he was out of his element. The best thing he could do would be to write his brains out, and get back to the dirty, crazy, noisy, city where he did not have to converse with cats. Or adorable landlords. As soon as possible. Love this set-up, Christine! It's so unique and can't wait to see what happens. Thanks Josie!So much fun to write this one! A Christmas treat! I hope every one loves it!